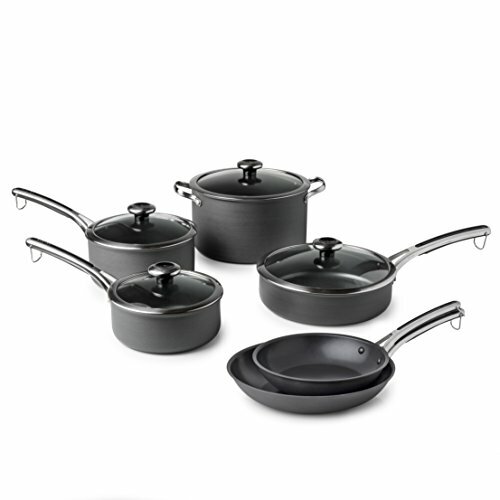 Revere Hard Anodized Aluminum 10 Piece Set includes 2 and 3 Quart Sauce Pans with Lids, 8 and 10 inch Fry Pans; 3 Quart Saute Pan with Lid and a 6.5 Quart Stock Pot, One size, Aluminum. This non-stick Revere cookware set will give even the stickiest foods a run for their money. Each piece is made with our Clean Pan technology. That's three full layers of titanium-reinforced non-stick coating.